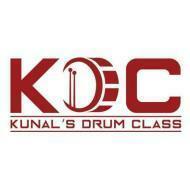 Kunal's Drum Class (KDC) is an education space that focuses on delivering high quality training sessions on drumming. Established by Kunal Athreya, a Trinity (School of Rock and Pop, London) certified drummer, KDC offers drums education for learners ranging from 6 years of age and beyond. Kunal's expertise covers an in-depth understanding of drumming techniques and styles as well as an inherent ability to teach learners of all ages. KDC's focus on building a strong foundation within learners as regards techniques, is the key to a successful learning experience. Learners will learn different styles and will get an opportunity to practice on good quality equipment. KDC follows the Trinity syllabus and learners will be groomed and trained to appear for Trinity exams which will help them obtain certificates from one of the most prestigious music schools in the world. KDC is a space where every learner is considered important and his/her training needs are met optimally, without discrimination. For a meaningful, educative and truly enjoyable learning experience enrol in KDC, now! I am an experienced and qualified drum instructor with over 7 years of performing and teaching experience. I hold proficiency certificates from the highly acclaimed Trinity College, London. So far I have trained over 100 students and equipped them to achieve excellence in Trinity exams. I have also worked in the best of music schools in Mumbai and have conducted several workshops related to music education. My strength lies in inspiring my students to develop a love and connection with the instrument and sustain their interest in it. The evidence of this is their outstanding performance in the Trinity exams and in their respective school/college/society events. My teaching methods vary according to the age and requirements of my students. I am an avid researcher of drums education and I apply this knowledge to each and every session. My students are very important to me and I truly believe that a teacher has to be 100% there in every single session. "Kunal is a fantastic teacher. Patient and highly skilled. He keeps students motivated and pushes them to improve continuously. Am waiting to start back again once life gets less busier. Highly recommended drums teacher for a beginner or an expert, young or old. Doesn't matter. " "Truely enjoying and it's been a great experience learning drums with Kunal Sir, one of the best drum classes in Mumbai. Kunal sir is very friendly and an excellent drummer , He is very passionate about his work and has unique way of teaching his students and he make sure he teaches you each n every small technique also in detail and in the best possible way. A great Human being. Highly Recommended !! A true inspiration to those who want to learn drums. " "Kunal is a passionate teacher. He and his team helped us explaining all the queries we had before joining. The class setting is good with each student getting an individual practice drum. Kunal pays personal attention to all the students. Me and my son look forward to attending our classes on sundays. Overall a great place to learn, very professional setup. " I think its completely age dependent. If the person learning drums is above 15 years of age, then I advocate buying a practice pad and practicing rudiments and technique on that and then purchasing a drumset at a later stage when you feel the investment is worth it. For, a student below the age of 15 i have another approach. To know more you can visit https://www.facebook.com/kunalsdrumclass and contact me. Thank You !! Hello my name is Sachin and I'm really a good singer (purely focused on Hindi Bollywood songs). I'm looking to get associated with a Music band in Mumbai as Lead Vocalist/Singer. Kindly help and share suggestions on how I can showcase my singing talent. Thanks in advance. Hi Sachin you could video record yourself and post it on various social media platforms that have band requirement pages and requests will start flowing in. Kunal athreya conducts classes in Drums. It is located in Chembur East, Mumbai. It takes Regular Classes- at the Institute. It has got 3 reviews till now with 100% positive feedback.